On May 12th Edward and Dominic visited Richis/Reichesdorf in Rumania for a few days to encourage along the restoration of the 1788 Prause organ in the wonderful mediaeval church. 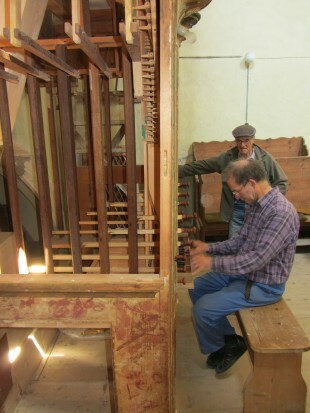 Hermann Binder has been restoring the organ with the help of Szabolcs Bartis and his team. We have inserted the restored pipework, adjusted the voicing and tuned the organ, which is now most complete. Edward played it to an appreciative audience.